Scotland’s universities are driving a culture of entrepreneurship on campus. Lynne Russell At Queen Margaret tells us what this means for students at Queen Margaret University Edinburgh. 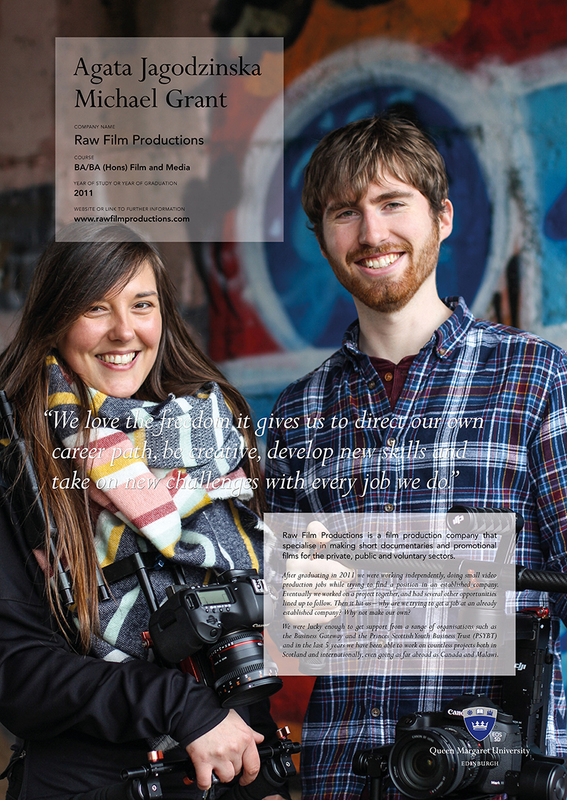 I was initially struck by the strong images of fresh faced students and graduates which were presented as part of a striking exhibition focusing on entrepreneurship. I was immediately drawn in by the diverse range of stories which highlighted many of our students’ entrepreneurial journeys. Having spent several minutes digesting their successes, I felt inspired and uplifted, and ready to engage once again in my day to day work with the Communications team. QMU’s ‘Inspiring Entrepreneurs’ exhibition celebrates the pivotal role entrepreneurship plays in enhancing the student experience, as well as demonstrating great examples of the way in which the University’s research impacts on everyday lives. Not only does the exhibition share many fascinating stories about current students and graduates, it also showcases the success of our spin out speech and language company, Fitvoice , and the work of academic champions whose role is to embed entrepreneurship across the University curriculum. 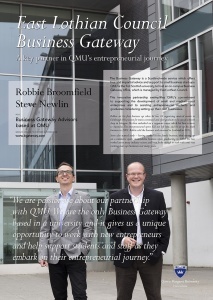 Over the last few years, QMU has made great inroads in developing the entrepreneurial mentality across the university. We have cranked up our focus on this after committing to the sector-wide Making it Happen with 8 actions for all 19 institutions to deliver. Indeed, we were the first university in Scotland to host a Business Gateway office on campus. 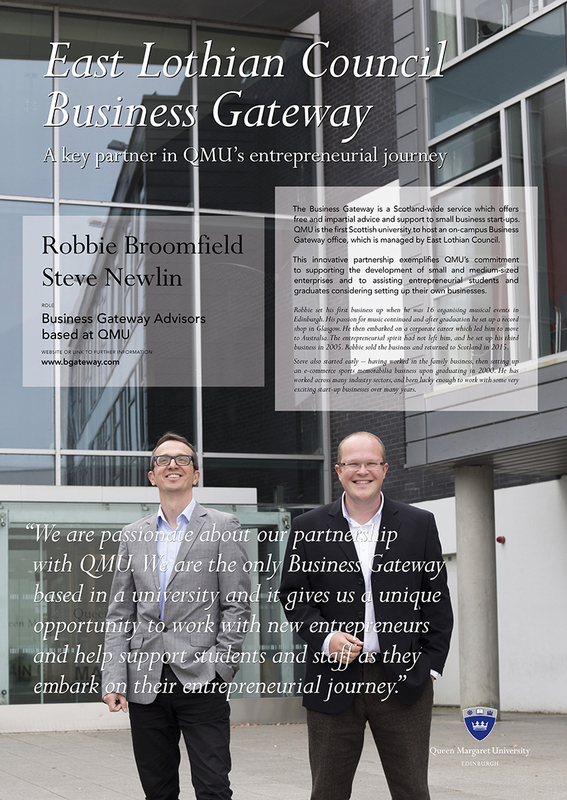 The partnership with East Lothian Council’s Business Gateway team is pivotal to the success of QMU’s entrepreneurial strategy, and supports both business development within local community, as well as new students and graduates who are interested in exploring business ideas. 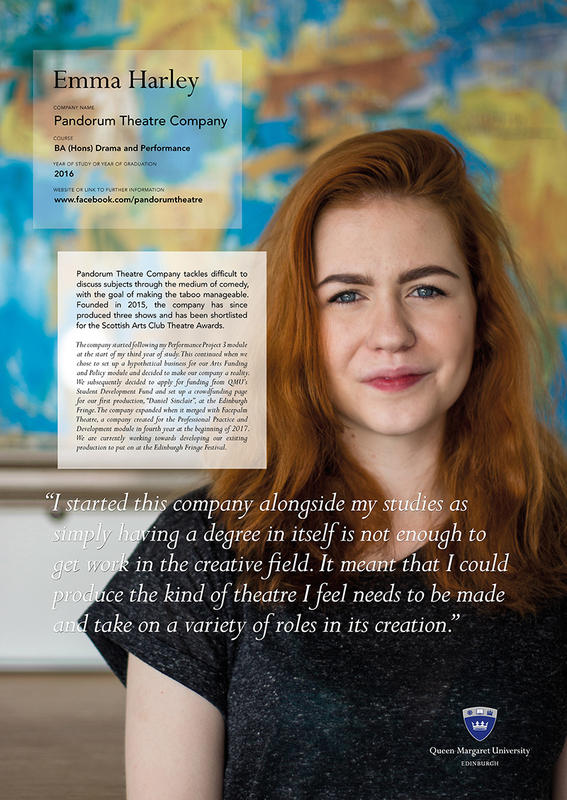 The diversity of entrepreneurs highlighted within our exhibition makes one acutely aware of the changing student mindset and the range of opportunities now available to all graduates. When I first started working for QMU 17 years ago, only a handful of business students would have considered setting up their own companies. Gone are the days of relying on graduate training schemes – students are now far braver and more adventurous in their outlook, and are better equipped to carve out a new style of career. 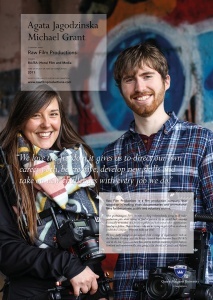 It is now common practice for our film students to team up with classmates in order to establish video production companies well before they reach their graduation. Our Business Innovation Zone has a healthy mix of theatre companies and creative businesses. However, we also activity support entrepreneurship across the areas of healthcare, business, social and service innovation. Lynne is Communications Manager for Queen Margaret University, Edinburgh.